Easy to use mold fogger, Prevent mold from becoming a growing problem. Mold Bomb Kills mold in just one treatment. Our revolutionary one of a kind delivery system will get places you cannot reach with any other product. Mold Bomb works great for mold suppression, prevention, contents, rooms, appliances, eliminates odors, and disinfects surfaces. Don’t risk a bigger mold problem then you already have with a less effective cleaner. 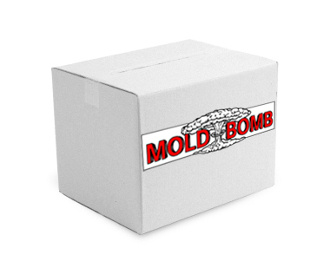 Go with a product that works, "Mold Bomb"!